Camilla North is a singer-songwriter from Norway with a unique voice. Her music blends organic acoustic sounds in an electronic atmosphere where the piano is the lead instrument. She's mostly known for her ballads, with lyrics touching upon life experiences and dreams. The media in Norway and Britain have been touting her as one to watch. Camilla was born and raised in Bergen, and studied music at Langhaugen upper secondary school. After this she went straight to Bath Spa University in England where she completed a BA in music and an MA in Songwriting. When she came back to Norway she continued her studies at the Grieg Academy of Music in Bergen where she got a PhD in Music. In 2016 Camilla released the singles "Just Breathe", "Unloveable" and "Notice me" and secured airplay on several radio channels in Norway. 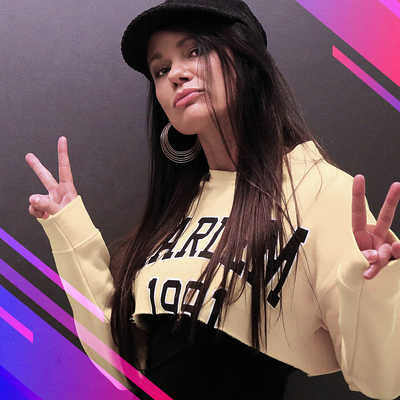 She has also competed in several competitions, winning the English vocal competition ‘Battle Of The Vox’ and the iLod songwriting competition in Norway. She has a lot of experience on stage, and has played most places in Bergen, Oslo, and the UK. Camilla has also proven herself as a songwriter for other artists both in Norway and other countries. The song "Deja Vù" who was recorded by the girl group F(x), reached number 1 on Billboard's album chart. In 2016 Camilla was awarded with “Kulturgründeren” for her work as a singer-songwriter. In 2017 she collaborated with known DJs in the Netherlands and released the singles "Invisible" and "Still alive". Camilla is now balancing her time between running her own music school, preparing for Eurovision and recording her debut album.